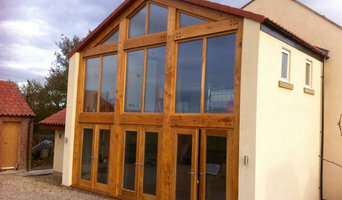 We deliver high quality building solutions for clients throughout Newcastle and sunderland. from new builds & extensions to kitchens & bathrooms. 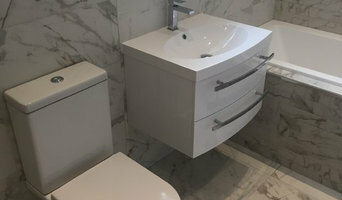 We offer a unique service for any building / renovations project. We can assist as much or as little as you require with architect services, design consultation or we are happy to work from your own plans/ideas. we like to build a long term relationship with our customers, so they feel comfortable in leaving their project in our capable hands. A family owned business based in The North East for over 30 years. We are passionate about making your home a beautiful place to live. We pride ourselves on making the home improvement process as seamless as possible. We project manage all our builds, ensuring all projects are completed to the highest possible standard from start to finish. Do it with quality, do it with style, do it the Lambton way. DP Construction NE Ltd are one of the Northeast’s most reputable and longest established providers of construction services to both residential and commercial clients. As well as working on full construction projects in some of the most desired residential areas of the Northeast, we offer a full range of design services for renovation and refitting. All our projects come with complete peace of mind through our professional accreditations and certification which include: Established in 1989, we employ a team of local fully qualified personnel, each experts in their own specific trade, nearly all of whom have served with DP for many years. Staff that work on your property will almost always be full time employees of DP Construction. Using full time employees on projects in one of the many differences between ourselves and other builders in Newcastle Upon Tyne. We rarely find the need to engage specialist sub contract skills, but on rare occasions we may need to do so. In these cases, it will be through companies and contacts we have used for many years and understand the high standards DP Construction clients expect. Dean Hoyland and his team have worked hard to create a culture not often associated with the building trade. Evidence of this can be found in the testimonials section of this website where you’ll find first hand credits from real customers about the efforts made to surpass customer expectation. We encourage you to contact us and discuss your building requirements to experience our approach for yourself. Dockleaf Developments has evolved over the last 15 years into a developer and house builder of bespoke detached homes, operating at the higher end of the market. If you're looking for a new home, somewhere your family can grow up and create lasting memories, look no further than Dockleaf Developments. 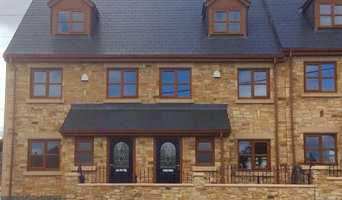 We build and develop unique houses, tailored to your personal requirements, working to the highest standards of customer service and workmanship, in picturesque locations throughout the North East of England. All of our houses must be aesthetically pleasing, with plenty of architectural feature evident on the outside, with generous, contemporary, flowing spaces inside. From one bedroom apartments to luxury penthouses and prestigious executive houses, we pride ourselves on understanding the aspirations of all our buyers, not just in the type of home that suits your needs, but in the environment in which you want to live. Irrespective of your budget and the type of property you are buying, all our homebuyers are treated with the same high level of customer service from pre-sale, throughout the buying process and, of course, once you have moved in. We believe that service doesn't just involve customer care; it's also about providing you with a range of attractive offers and incentives to make it easier and quicker to move. We will also work with you during the early stages of construction to enable you to personalise your new home through our Additions package. Our high standard of service and build-quality is endorsed by our customers, 9 out of 10 of which would recommend buying a new home from Bellway to a friend. Although a major developer, we have not lost sight of what is important to our purchasers. 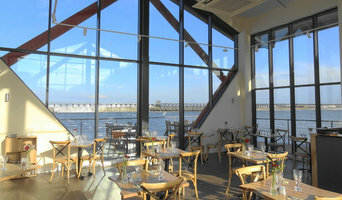 Operating via nineteen regional divisions and employing local people allows us to stay close to our customers and take key decisions about design, materials and specification in response to local demands; another example of how, by putting buyers at the heart of our business, we have built a reputation you can rely on. We offer a full package of building services from single storey extensions to larger commercial projects. We incorporate all trades required to see a job through from start to finish. We work in all mediums of building material and are happy to adapt to new or alternative building methods depending on any projects specification or needs. We are equally at home with conservation stone work as we are with modern new build projects. We can also supply references from previous clients as required. Blue Forest (NE) are damp proofing contractors for all of Sunderland and Tyne and Wear. What ever your issues with damp, call the experts today. Construction professionals who specialise in residential projects from house extensions to new houses. General building and maintenance contractors. Why not build you own house with the help of Newcastle upon Tyne, Tyne & Wear builders? Builders in Newcastle upon Tyne, Tyne & Wear can be employed to handle a wide range of projects; from knocking down a partition wall to building a kitchen extension, but you’ll certainly need the help of a trusted house builder if you plan to build your own home from the ground up. But why would you take on such a task? This may seem like a daunting task, and admittedly, it’s not for the faint-hearted. But with extensive research, trusted builders in Newcastle upon Tyne, Tyne & Wear, detailed budgeting and good judgement you might soon be sitting in the house of your dreams, at a snip of the cost. Your architect’s plans will serve as clear instructions to your builder and, if the former has done their job well, you should also avoid any nasty surprises with the local council. Finding the right Newcastle upon Tyne, Tyne & Wear builder need not be a long or difficult process. Personal recommendations aside, a good place to start is the Newcastle upon Tyne, Tyne & Wear Home Builders category of the Find a Pro section on Houzz, where you can see their previous work and ask questions. Compile a shortlist of at least three builders in Newcastle upon Tyne, Tyne & Wear that can handle the full scope of works, either by themselves or through sub-contracting. It is often a good idea to play devil’s advocate and ask what the builder will not be responsible for, such as structural engineer consultations. Be weary of unusually cheap quotes. Ask for references and stories about how the builder has met different challenges along the way. If you can, you could try to see builders’ previous projects in person and talk to previous clients, or if not, read reviews, recommendations and ratings, and look at detailed photos of projects. How long have you been operating as builders in Newcastle upon Tyne, Tyne & Wear? Find builders on Houzz. Narrow your search in the Professionals section of the website to builders in Newcastle upon Tyne, Tyne & Wear. 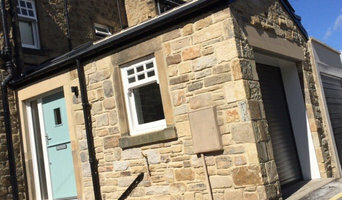 You could also look through Newcastle upon Tyne, Tyne & Wear photos to find a project you like, then contact the Newcastle upon Tyne, Tyne & Wear builders that created it.